All too often we forget the sacrifice our men and women in uniform have made in order for us to live in a free Country. Veterans Day is not only to remember our fallen heroes but to pay tribute to all Veterans. Many gave up family friends and limbs in order that our flag could continue to fly. The oldest component of the Armed Forces in the United States is the National Guard. They will celebrate their 374th birthday on December 13, 2010. Their history is traced back to the earliest English Colonies in North America. 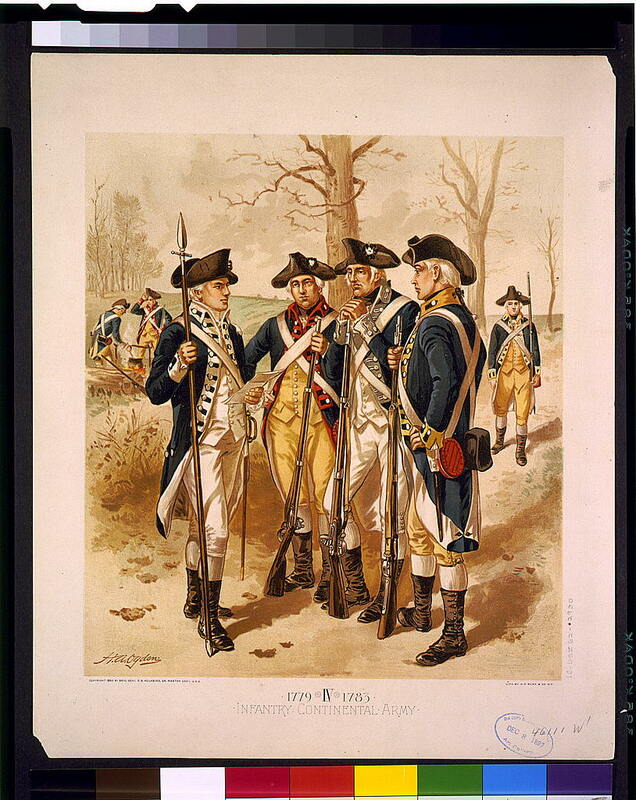 The Continental Army was established June 14, 1775. Its purpose was to fight Great Britain. George Washington was appointed as its Commander. He used the Fabian strategy of hit and run where the enemy was the weakest. His motive was to wear the enemy down. Next came the Marine Corps, established on November 10, 1775. Marines were first known as Devil Dogs. The term came from their ability to press forward in combat. Leather necks came about in 1798. Black leather collars, about 3 1/2 inches high were issued to prevent the number of decapitations from the enemy. In the Philippine - American War they were re-issued because of the Filipino Muslims they were fighting. The Navy was established 9 months before America declared themselves politically independent. Their ability to navigate on water aided all branches of the service. They could carry troops, aircraft, fire missiles and aide in combat without going on shore. As our Country began moving into the mid-pacific and Western Atlantic the Navy became the Nations first line of defense. On August 1, 1907 the Air Force was formed from the Army Signal Corps. This came about 3 1/2 years after the Wrights flew the worlds first powered plane, the Kitty Hawk. Their original purpose was to observe by balloons. They accepted their first plane from the Wright brothers in 1909. Their first operational unit was the 1st Areo Squadron in December of 1913. For hundreds of years our Veterans have upheld what our Founding Fathers built our Country on. They prevailed through hard times in order for all of us to live free. I cringe when I hear of the Westboro Baptist Church protesting at the funerals of our Fallen Soldiers. No higher honor can be given to any group of people who have given up so much. I salute each and everyone of you. If you know a Veteran go up to him or her this weekend, shake their hand and thank them for what they have done.